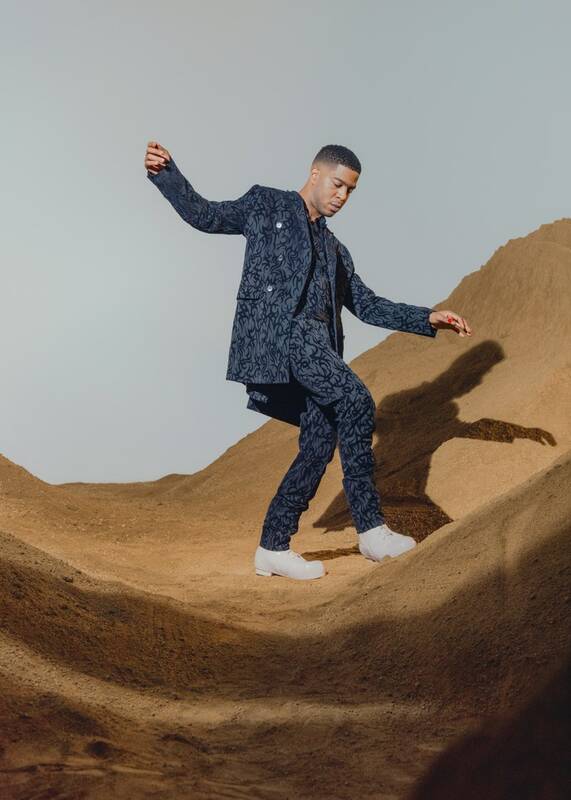 Kid Cudi has been plenty outspoken about his struggles. He’s variously battled critics, depression, and, at times, Kanye West. But now, as he re-emerges with a new creative optimism, the 34-year-old is blissfully focused on something much more dynamic: his future. 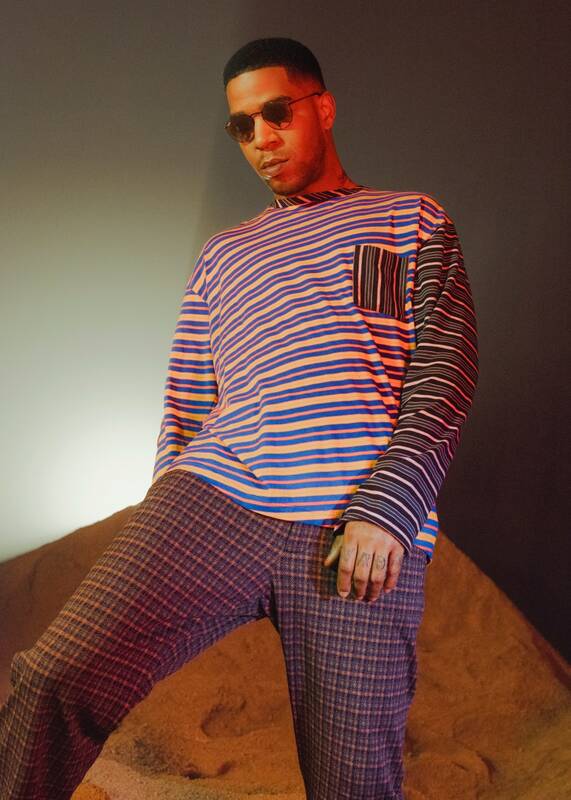 Kid Cudi is hip-hop’s Peter Pan. 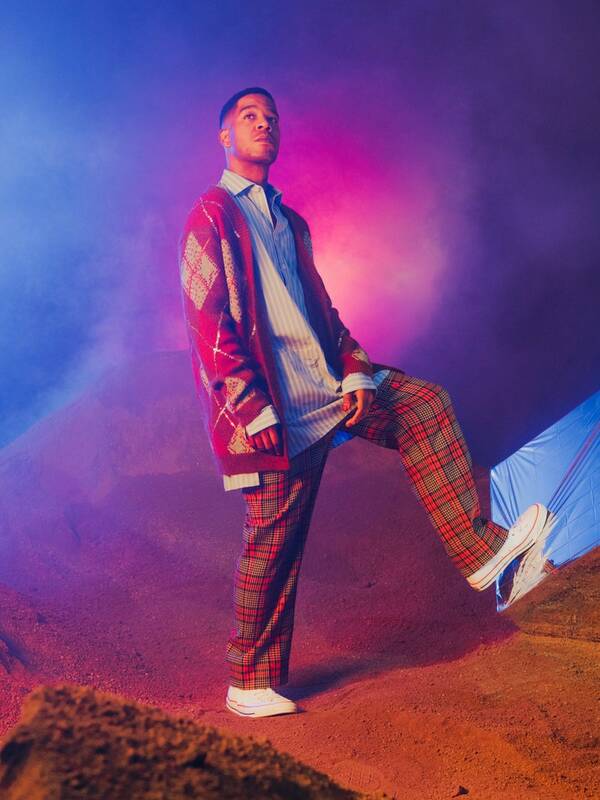 As a founding father of alternative hip-hop, Cudi was the sad-boy antihero to André 3000’s Rapunzel wig and kilt. Hip-hop’s Cobain, so to speak. These days the 34-year-old Lost Boy’s demeanor straddles the line between cool kid and loner stoner. 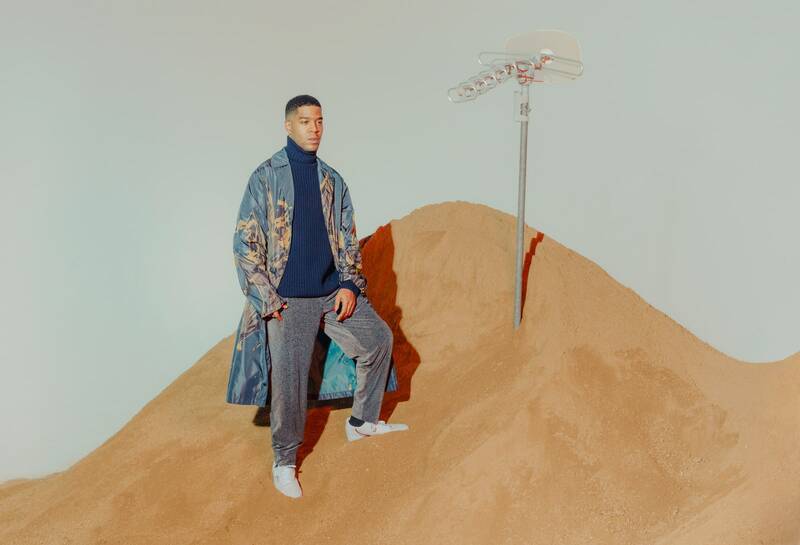 Thirty-four might not sound too seasoned to you, but it’s important to note that Cudi has been one of the most beloved acts in hip-hop for a decade. In rapper years, that’s practically a lifetime. Need proof? Back in 2009, he shared the cover of XXL‘s Freshmen issue with Asher Roth, Charles Hamilton, Blu, Mickey Factz, Ace Hood, B.o.B, Cory Gunz, and Wale. (Let us know when you’re done Googling those people.) Point being: He’s stood the test of time while most of his peers haven’t. And the new guard of ragers—like Travis Scott—rightfully consider him a god. Kids See Ghosts, his joint album with Kanye released earlier this year, is a bit of a departure from the emo midwesterner that his fans had grown to love. “I chose to write the light,” Cudi tells me in his room at the Chateau Marmont. “Me and Kanye both agreed that we wanted to create a spiritual album. I know kids are used to hearing me talk about darkness, but I’m living in the light now.” The album itself seems to have met people’s very high expectations of what should happen when two hip-hop legends join forces. It’s good. Almost good enough to make you forget Kanye’s MAGA hat. Almost. And in a lot of ways liberating for Cudi. I don’t feel pain anymore. Guess what, babe? I am freeeeeeee, he croons. He, like, really, truly croons. And hums—a signature of his. Cudi Zone – Marni designer Francesco Risso has brought a refreshing quirkiness to Italian high fashion. Here he proves that a statement tee doesn’t need a flashy graphic—just a funky fit and righteously clashing colors. By Design – Balenciaga artistic director Demna Gvasalia has taken normcore to luxurious new heights, turning off-duty-dad style staples into some of the most covetable—and flyest—designer pieces on the planet. But today Kid Cudi, beloved and still damn good at his craft, is safe and sound. “I’m not battling any demons right now. Thank God,” he says. 4th Dimension – Belgian pattern god Dries Van Noten outdid even himself with a crazy run of marbled coats for his fall collection. Only ten were made in each colorway, meaning you’re looking at one of the rarest grails of the season. 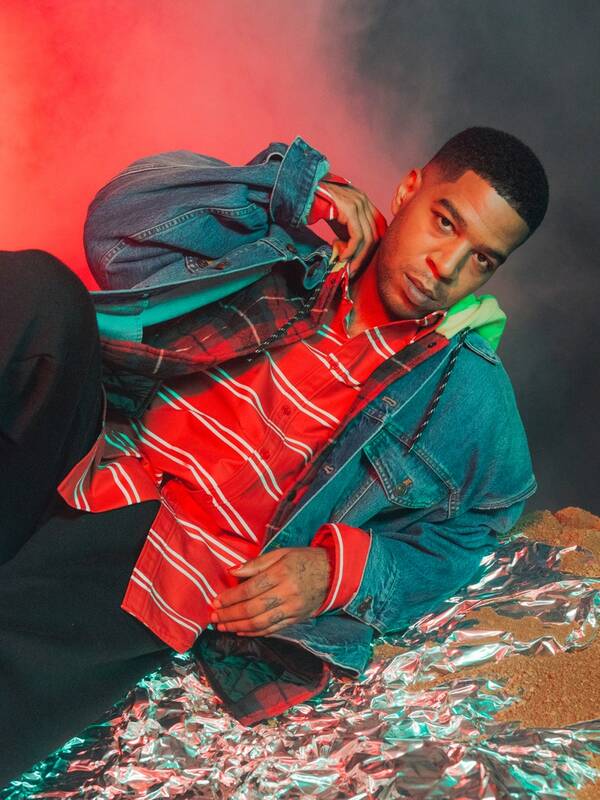 Cudi even smiles when he’s clearly bummed—as when we talk about his 2016 album, Passion, Pain & Demon Slayin’, and, in particular, the song “Surfin’,” produced by Pharrell. “I don’t know if Pharrell will work with me again, because those songs didn’t do what they were supposed to do,” he says with a grin. “The label didn’t do the right thing.” If you missed that album, it’s worth a listen now. It’s Cudi at his best: moody wailing, occasional grooves, and post-bender realizations. And if not for that reason, then to help get Pharrell to work with Cudi again. And besides parenting, he’s busy making stuff. He won’t let anyone—certainly not me—pressure him into offering dates for when we can expect new music. But he is creating a show with Jordan Peele. And he’s in the studio constantly. And still develops crushes here and there. (He jokes about having one on Kendall Jenner. The smile gets even mischievous-er after that.) And is trying to get on social media more often, to let the kids know he’s all right. So in case he forgets to share it, let this serve as the announcement. Kid Cudi is all right! Kid Cudi will be coming out with a new album this year.